Bali, Indonesia has long been considered an earthly paradise full of beauty and culture. The warm and sunny tropical climate makes it a coveted destination for international travelers. Many of the tourists arriving from countries with cold climates find themselves basking in the sun, enjoying rest and relaxation while others enjoy the island’s cultural and active travel opportunities. The physical configuration of Bali is of special interest. The main tourist areas of the country include the town of Kuta, the eastern town of Sanur, the town of Ubud in the central part of the island, and Jimbaran, a resort and fishing town in the southern part of the island. One conspicuous aspect of Bali’s rich geological history revolves around volcanoes. 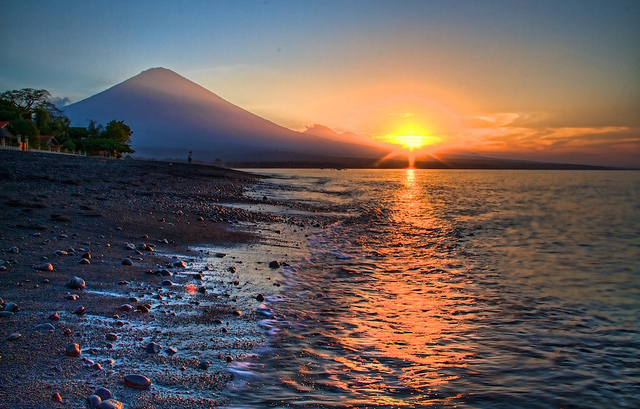 With an altitude of over 3,000 metres, Mount Agung is the country’s highest mountain and an active volcano. The fertile soil surrounding the volcanoes supports highly productive agriculture. The beaches of Bali are spectacular, with long sandy shorelines and clear waters. So many activities are available here, including water surfing, boat riding, swimming and many other aquatic activities. Bolstered by a rich cultural history, Bali which is a predominantly Hindu society has evolved to accommodate other cultures while maintaining traditional festivals, rituals and other religious engagements. 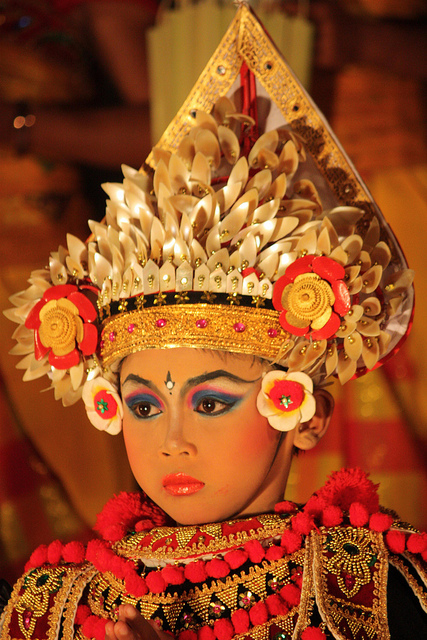 Balinese culture is one of the main factors drawing travelers to this island. As a Hindu enclave in primarily Muslim Indonesia, the island has a very unique culture. The numerous Hindu temples are not only a sign of religious practices but also an opportunity to visit, learn and appreciate the evolution and changing practices of the Hindu community. 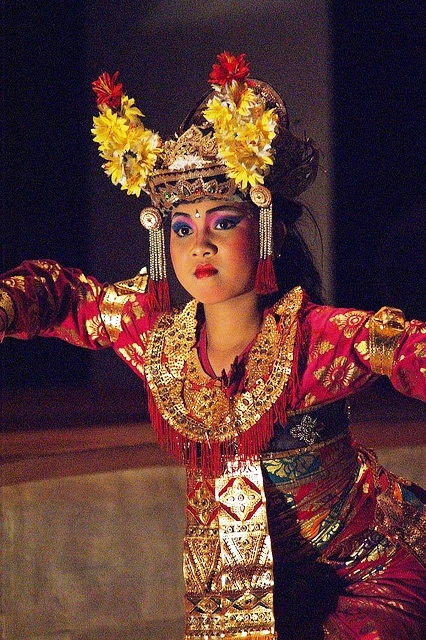 Balinese dance is another unique expression of the country’s culture. Many of the ceremonies at the temples call for a dramatic dance representing a battle between good and evil. The Kecak Dance, also called the “monkey dance”, is executed by a large crowd of dancers with great displays of artistry and passion. The town of Ubud is a major cultural centre and shows Bali’s connection to creativity and artistry. 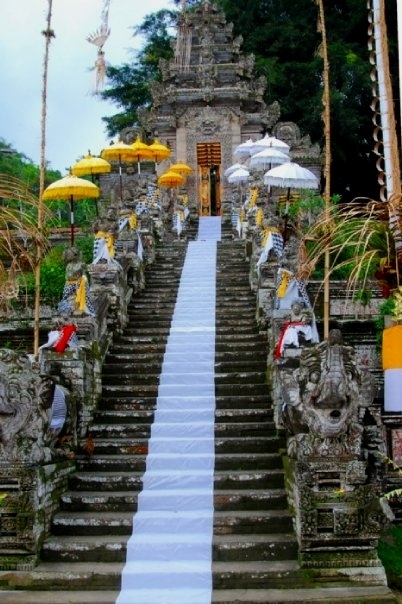 It would not be a complete visit if you missed out on Balinese ceremonies. They are an authentic display of culture and the inheritance of style that has been religiously passed down from one generation to another. An opportunity to sample the cuisine of Bali, Indonesia is among the unique pleasures of visiting this island. In addition to relatively widely available Western cuisine, you will find a variety of Balinese rice and noodle dishes. For those on a small budget, street vendors sell authentic local cuisine. 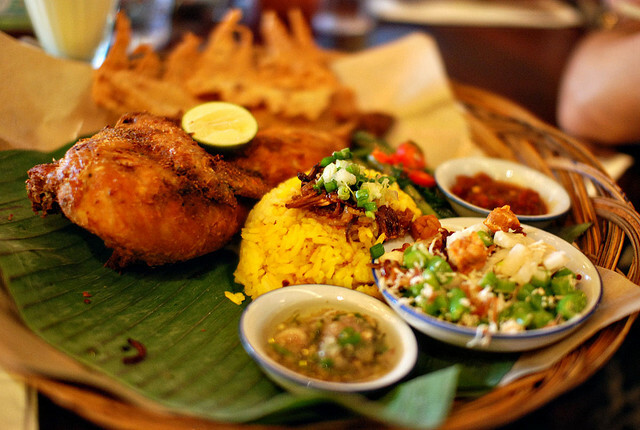 Padang (Indonesian) dishes are also widely available and reasonably affordable. One of the most delicious Balinese dishes is babi guling, a roast suckling pig that is prepared for special occasions. 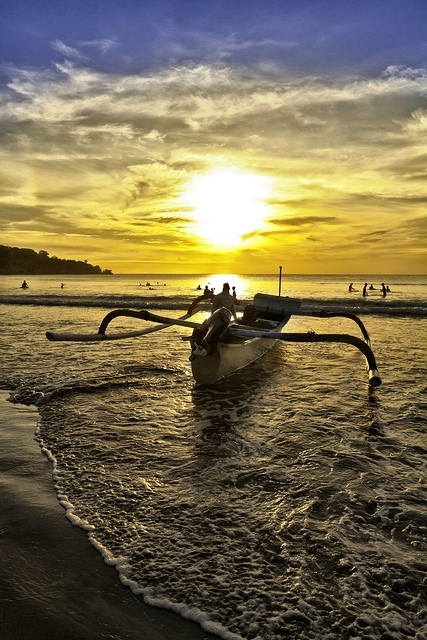 Jimbaran Bay and Sanur Beach are places that are definitely worth a visit for people with a passion for water sports. Aquatic activities include motorboat racing, canoeing, kayaking and surfing and attract large numbers of travelers from all over the world. A walk through the Ubud Monkey Forest will provide a unique nature experience. 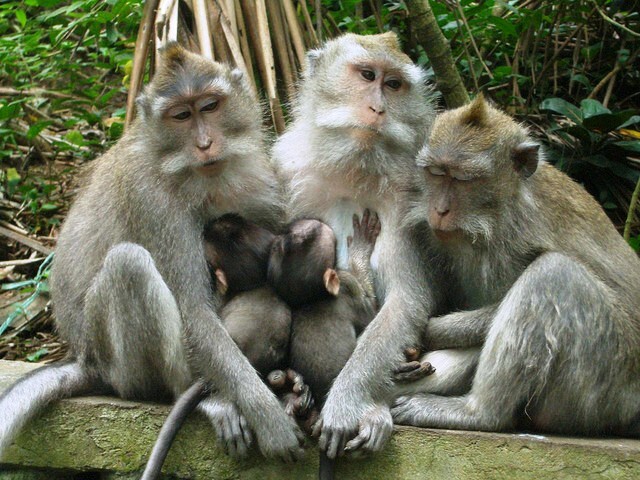 There are more than 340 macaque monkeys as well as a temple complex that is used for cremation ceremonies. This small park is visited by more than 100,000 people every year. Bali, Indonesia, also has many unique festivals throughout the year. One of the most unusual is the Nyepi, or Hindu New Year, which involves a day of absolute silence and other restrictions for self-reflection. On the day leading up to this festival, huge colourful giants are paraded through the streets. During the period of silence, even tourists are asked to be quiet and to stay in their hotels and they cannot go onto the street or to the beaches. 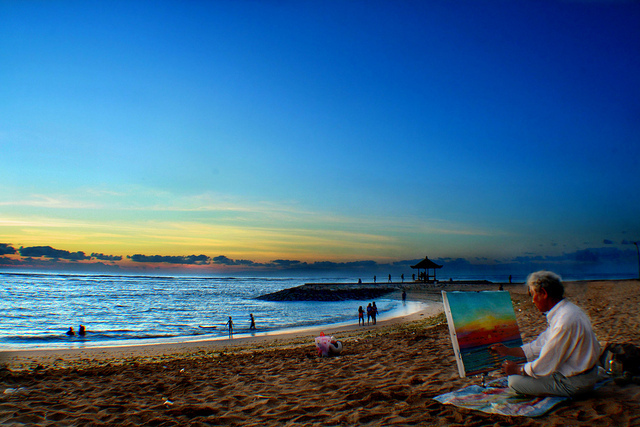 Outdoor enthusiasts will also find a wealth of activities in Bali. In recent years, golfing has become popular on the island and five golf courses have opened. The island also has some great scuba diving and surfing locations while sport fishing is also gaining in popularity. Various adventure companies offer mountain biking, horseback riding, treks in the jungle, paragliding and other adrenaline-inducing activities. Bali, Indonesia is an island that is blessed with natural beauty and unique cultural attractions, which makes it a dream destination for tourists from all over the world.